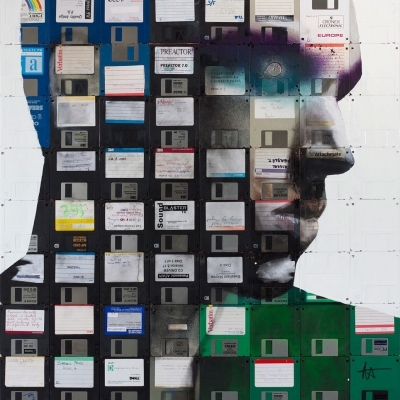 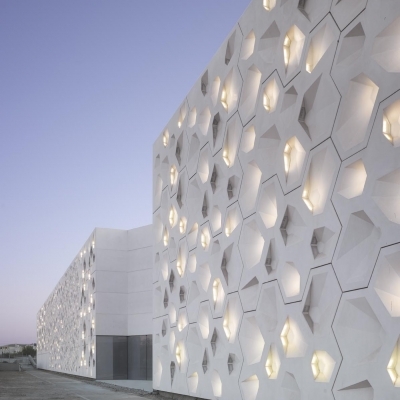 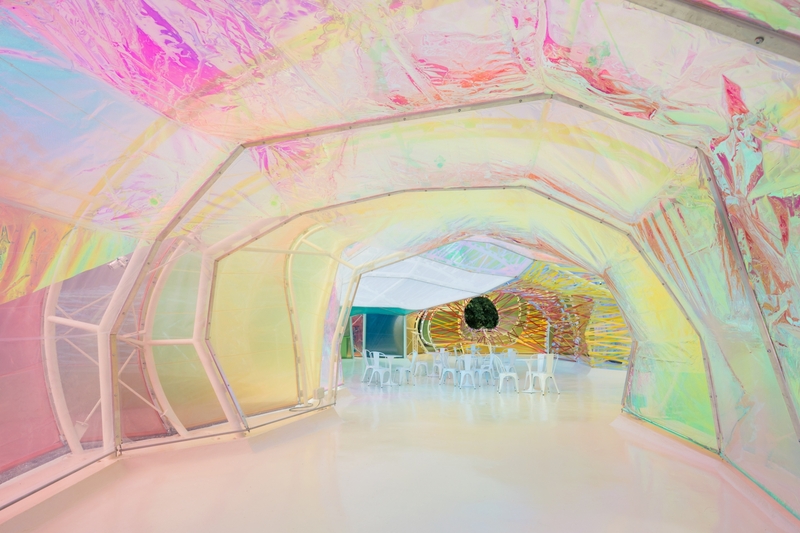 Here are a few images of the 2015 Serpentine Gallery by the Dutch photographer, Iwan Baan. 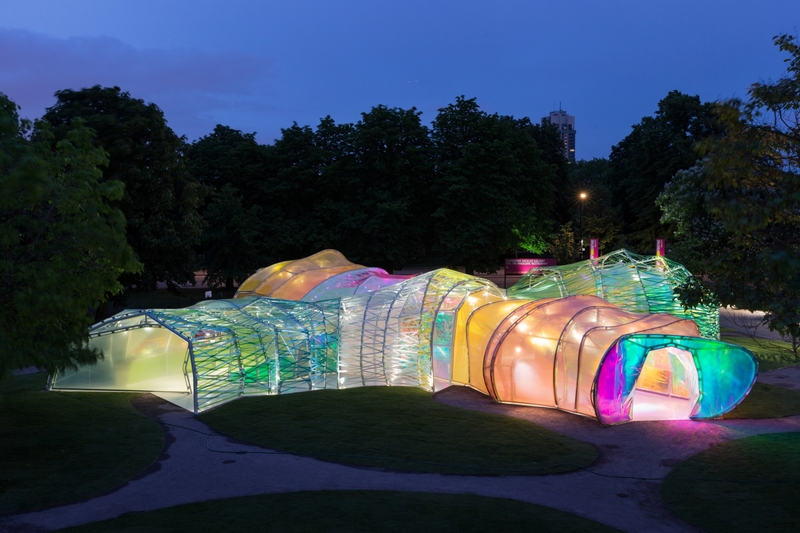 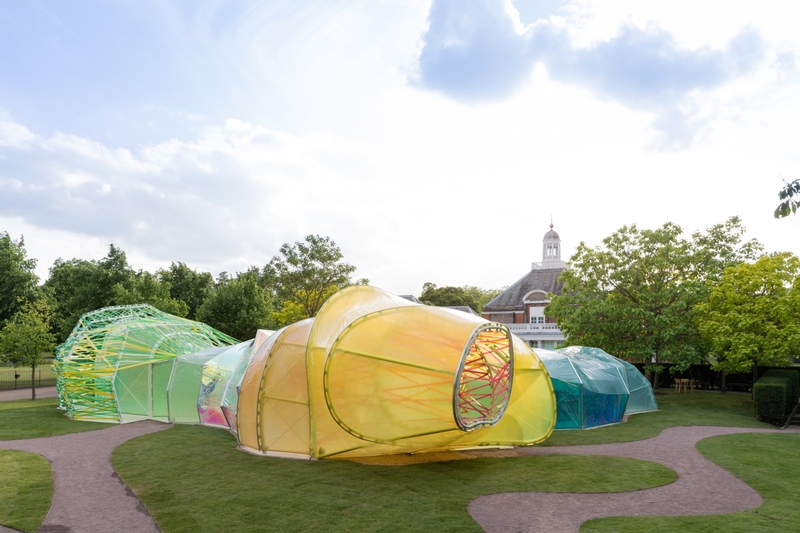 With the opening ceremony of SelgasCano’s Serpentine Gallery pavilion earlier today, the Serpentine Gallery has released a set of images by Iwan Baan, capturing the riotous color explosion delivered by the pavilion’s ETFE wrapping. 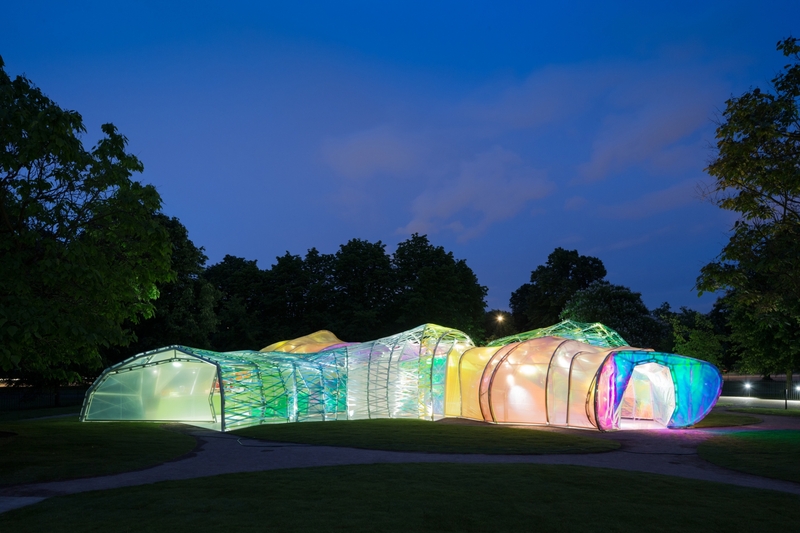 Always one of London’s most popular architectural attractions over the summer, this year marks the pavilion’s 15th anniversary, and will be on display until October 18th.